Set contains only unique elements. It does not allow duplicates. Set can contain only one null element. Random access of elements is not possible because it don't have get() API. Set also adds a stronger contract on the behavior of equals and hashCode operations, allowing Set instances to be compared meaningfully even if their implementation types differ. Two Set instances are equal if they contain the same elements. As implied by its name, this interface models the mathematical set abstraction. Set does not guarantee an insertion order. boolean add(E e) - Adds the specified element to this set if it is not already present (optional operation). boolean addAll(Collection<? extends E> c) - Adds all of the elements in the specified collection to this set if they're not already present (optional operation). _void clear() _- Removes all of the elements from this set (optional operation). boolean contains(Object o) - Returns true if this set contains the specified element. boolean containsAll(Collection<?> c) - Returns true if this set contains all of the elements of the specified collection. boolean equals(Object o) - Compares the specified object with this set for equality. int hashCode() - Returns the hash code value for this set. boolean isEmpty() - Returns true if this set contains no elements. 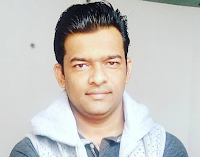 Iterator iterator() - Returns an iterator over the elements in this set. boolean remove(Object o) - Removes the specified element from this set if it is present (optional operation). 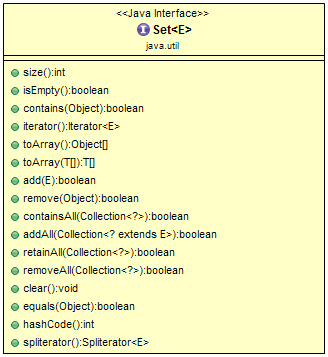 boolean removeAll(Collection<?> c) - Removes from this set all of its elements that are contained in the specified collection (optional operation). boolean retainAll(Collection<?> c) - Retains only the elements in this set that are contained in the specified collection (optional operation). int size() - Returns the number of elements in this set (its cardinality). default Spliterator spliterator() - Creates a Spliterator over the elements in this set. _Object toArray() _- Returns an array containing all of the elements in this set. T toArray(T a) - Returns an array containing all of the elements in this set; the runtime type of the returned array is that of the specified array. Let's create simple example Set interface using HashSet implementation class. 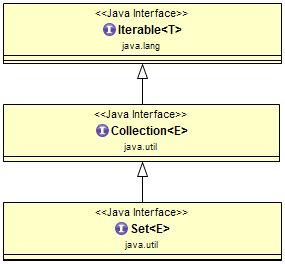 The Java platform contains three general-purpose Set implementations: HashSet, TreeSet, and LinkedHashSet. HashSet, which stores its elements in a hash table, is the best-performing implementation; however it makes no guarantees concerning the order of iteration. TreeSet, which stores its elements in a red-black tree, orders its elements based on their values; it is substantially slower than HashSet. LinkedHashSet, which is implemented as a hash table with a linked list running through it, orders its elements based on the order in which they were inserted into the set (insertion-order). Let's demonstrate Set interface API with all these three implementations. There is a separate post for each Set Interface implementations. In this implementation, we will learn Set Interface APIs using HashSet Implementation Class. Demonstration of How the Set contains duplicates and null values? How to make HashSet thread safe? In this implementation, we will learn Set Interface APIs with examples using LinkedHashSet Implementation Class. In this implementation, we will learn Set Interface APIs with examples using TreeSet Implementation Class.